A Riverside, Calif., biotech company will advance eight environmentally-friendly innovations to control damaging insect pests and improve crop yields thanks to grants it received this year from the U.S. Department of Agriculture. 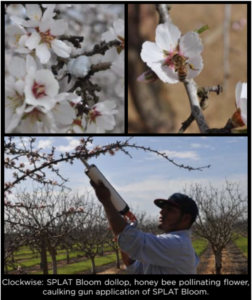 ISCA Technologies received six “Phase 1” grants from the department’s Small Business Innovation Research Program to develop and test five new pest control products and one that improves fruit blossom pollination rates. ISCA also received two “Phase 2” grants to prepare for the commercial market products already shown to have worked in field trials. The Phase 1 grants are highly competitive with only 14 percent of the grant applicants receiving funding. Phase 2 grants are awarded competitively only after the successful completion of a Phase 1 project. The ISCA grants will support technologies that are economical, effective and ground-breaking. ISCA strives to revolutionize pest control by developing methods that don’t harm other creatures and drastically reduce or even completely replace pesticide applications. Contact: David Danelski, writer, ISCA Technologies; David.Danelski@ISCATech.com; (951) 686-5008, office; or (951)850-0143, cell.